Groovy yoga classes to bring out the inner child. All levels and ages. Not too fancy not too fast, but cheeky and happy and calm all at the same time. Come and find your bubble of bliss. Slow flow Hatha yoga, focus on breath, presence, heart space, core stability, enquiry, inner peace. Held by the beautiful yurt space and the sound of the elements. If you are new to Yoga and aren’t sure what to bring, the fun answer is an open mind! The practical answer is to bring a Yoga mat! 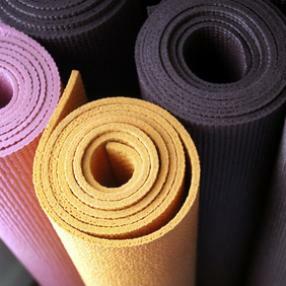 We have tried to make coming to class as easy as possible by providing clean mats which are free for your first class and £1 to rent thereafter. Blocks, blankets, straps and bolsters are provided free of charge although you are welcome to bring your own. 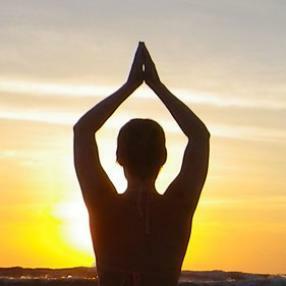 A magical blend of two styles of yoga within one class, to suit all levels. 'Yang' yoga is where flowing movement is guided by the rhythm of the breath, finding one pose and then another, creating a seamless dance like practice. 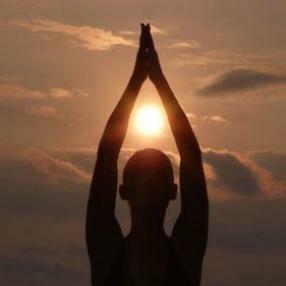 It is high, light energy yoga to create a vibrant feel in the body and heart. 'Yin' yoga is a practice of long held, slow and restorative style, focused on mental stillness and patiently turning inwards to examine the mind. The energy is low, dark and deeply meditative. This class is the perfect balance of both, concluding to settle your body and mind ready for a restful and tension free evening. This class is split into half an hour of Yang (Vinyasa) where you will build strength and tone and then half an hour of Yin - which is deep stretching held for upto 8 minutes to release muscle tension and relax your central nervous system. 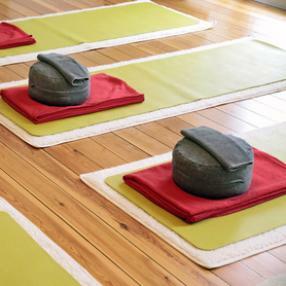 Definitely come and try this class to feel deeply relaxed afterwards. Your first class is just £5!! Nikki’s style is flow yoga, moving with the breath, often taking several breaths in key poses before moving to another. She tailors the practice for beginners while encouraging those with more experience to work harder and take more advanced poses. In this way, offering alternatives for those less or more physically able, students still feel that they are working together, doing their yoga on their own mat, focusing on their own progress and not comparing themselves to others.